6:30 a.m. Wake up. Watch the sunrise. Drink coffee. 7 a.m. Hour walk on the beach. Look for seaglass/try to burn calories/soak up ocean air (this is what I miss the most all year long - even walking on the beach in Charleston is just not the same). 8:30 a.m. Breakfast. 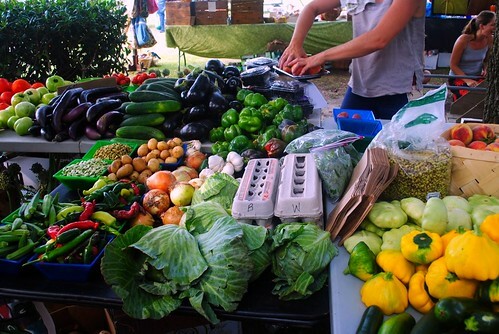 Maybe eggs and grits, maybe a raspberry lime smoothie, or maybe blueberry pancakes. 9 - 11 a.m. Read outside, let Isabel entertain us, ride bikes around Pond Island, etc. Noon. Start thinking about lunch. 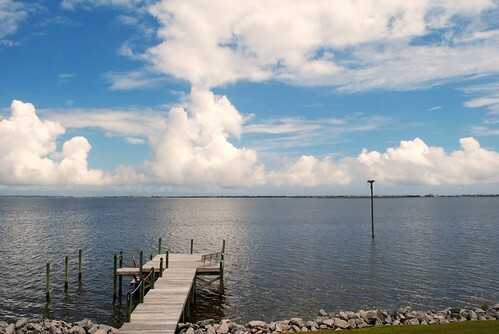 Possibly go to Manteo to walk around and eat. 2 p.m. Beach. Read, play in waves, sleep, play in waves. 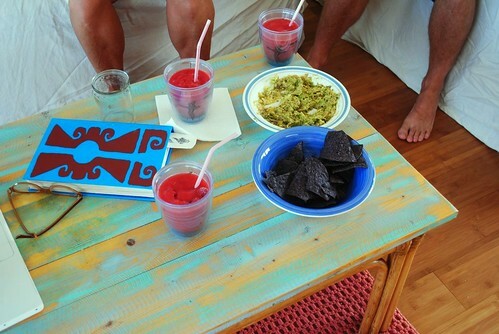 4:30 p.m. Watermelon margaritas and guacamole. Usually followed by naps. 6 p.m. Start making incredible seafood, local veggie-filled dinner with my mom. 7:30 p.m. 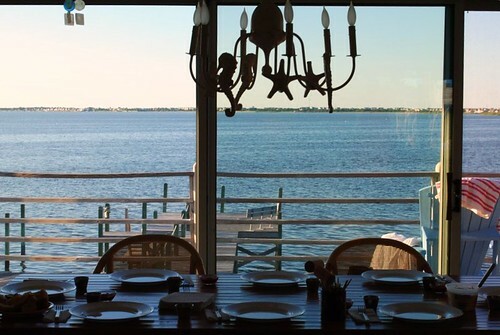 Sit down to dinner with a view of the water and pre-sunset sky. 8:30 p.m. Walk on the beach, ride bikes, or watch the sunset from our dock. 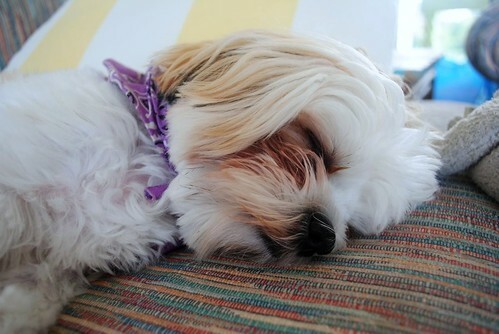 11 p.m. Sandy beds, heavy eyelids, amazing sleep. I'm pretty sure I could live this life forever.